Four books came to my house this week. 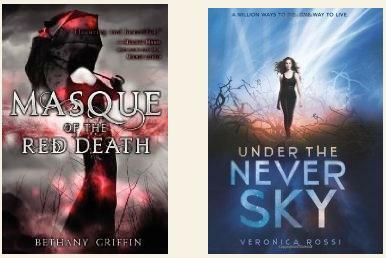 I took advantage of the HarperTeen specials to add Masque of the Red Death by Bethany Griffin and Under the Never Sky by Veronica Rossi to my Kindle. I was interested in both of these titles when they were published but couldn't fit them into my reading schedule. I still don't know when I will be able to fit them into the schedule. But, at least, I will have them when I do find the time. 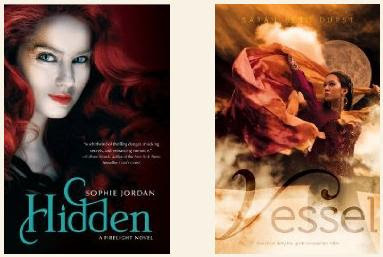 I also bought a copy of Hidden by Sophie Jordan so that I could find out what happens next in this series. I have really enjoyed the first two books about dragons. Finally, I received a copy of finished copy of Vessel by Sarah Beth Durst for review. I can't wait to read this high fantasy which sounds really amazing. Unfortunately, this one has to get in line behind all the other review books that I have to finish before the end of the month. OOh nice! I liked Hidden! Happy Reading! 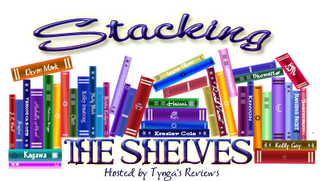 I took advantage of the HarperTeen specials too! I was really quite excited for the books they had up for grabs this time around. Can't wait to see your reviews on them!! Great books this week! Awesome haul! I own Masque and Never Sky! Masque was AMAZING and I'm hoping Never Sky is just as good! And I own Vessel too! It sounds really interesting. Nice finished copy of Hidden!!! Haha, you sound like you have about as much time to read random (non-review) books that you want to as me. Doesn't stop you buying them, though, does it? ;) I haven't read any of these ones yet, but I have been told by a harsh grading friend of mine that Under The Never Sky was amazing. Anyway, thanks for stopping by last night. These are all great titles, I hope you enjoy them. Great books! I'd really like to read Masque of the Red Death, but I'm not sure when I'll have time! Vessel sounds amazing, I haven't heard of it before either!